Vaido (Võrumaa, Estonia) on 21 March 2016 in Animal & Insect. Could easily miss seeing that lion . . a fatal mistake to make ! she blends in perfectly with the rocks! wonderful textures and hues of the rock as well! She blends right in! That is amazing. Great example of nature's way to hide its inhabitants. 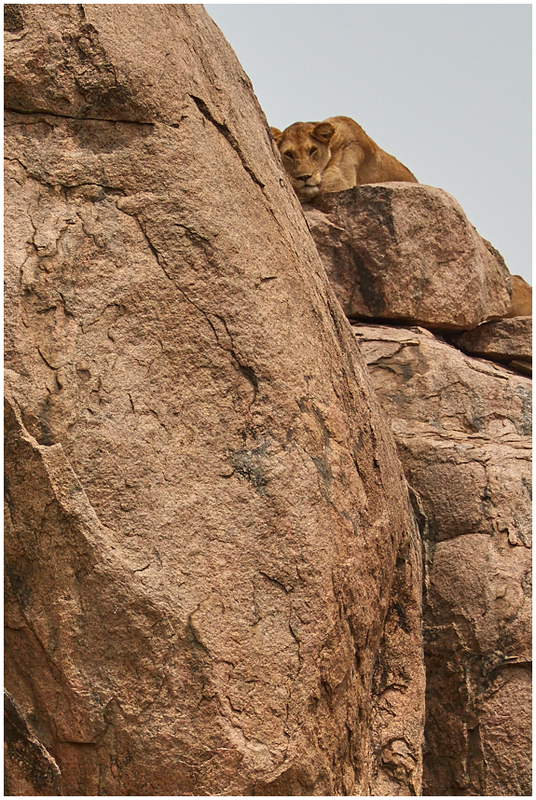 She is as one with the rocks - well spotted and taken. A subtle blend of natural colours. Excellent image Vaido and Congratulations. . . and Congratulations on the Spotlight, too - it still gives me a fright ! one more on your list of outstanding spotlights, vaido! congratulations !! !